I am putting it out there that I have a Patreon account. It is set up to support artists and their endeavors and at this point in my career I could use your support. 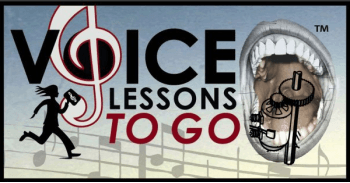 I am a mother of 5 with big dreams for Voice Lessons To Go. As you may be following, I am slowly releasing my material in foreign languages. I also have at least two new "English CDs" scheduled to record and release this year. I blog regularly and I have a lot of actual students in my Voice Studio. I also create Free YouTube educational videos. There is so much I want to do. For example this past year to create a foreign language CD I have had to translate my original audio, script it, re-record the music on separate tracks, find voice over artists, record and pay them. Hire an audio engineer to master the recording. Buy a bar code, pay to release the tracks, hire a Graphic artist to amend the art on the cover for each language and pay to translate, copy, titles, and descriptions of each recording. Doing all of this grass roots, without a big publishing company behind me along with my crazy schedule and limited budget is an uphill trek to say the least. But I still am trying to get it done. I figure every recording I release will be out there forever and that gives me so much pride. To think that children, and adults will be singing to my vocalizes, voice, and advice gives a me a strong sense of accomplishment and worth. I love the idea of spreading music across the planet in my own way. I want to just bury myself in my studio and create streams of content; CDs/downloads, books, videos, but this all requires a lot of time, money, and many other elements. I started a Patreon campaign a few months ago and have been terrible at getting sponsors. It is yet another thing I need to learn and master and keep up with. Please consider offering a monthly amount of financial support to my dream. Any amount would be appreciated and can be stopped at any time as you wish. There are some fun rewards from me which you can read about on my Patreon page. please know that I would be so grateful. Thank you for reading through this all. My content will keep coming, I promise. I am excited about what I can create in 2016.